Arsenal go searching for a ninth consecutive victory in all competitions when we take on Fulham at Craven Cottage on Sunday lunchtime. 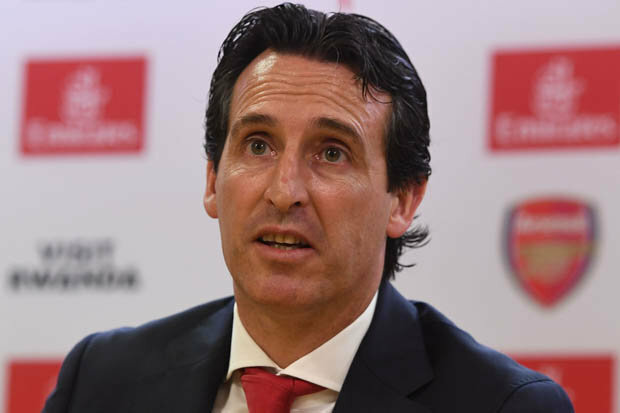 It was a tough start to life in England for Unai Emery after losing his opening two Premier League matches to Manchester City and Chelsea but the Spaniard has managed to turn things around by guiding Arsenal to eight win across three different competitions. Thursday night’s 3-0 victory over Qarabag in the Europa League comes off the back of a hard fought 2-0 win over Watford last weekend and we head in to the Fulham game sitting sixth in the Premier League table. However, a win on Sunday would see Arsenal climb up to fourth – level on points with third placed Tottenham – and put the pressure on Chelsea ahead of their trip to Southampton later in the day. It’s very difficult to bet on the Premier League as it can be so unpredictable and it can feel like a lottery when placing a bet at times. Some fans would rather try their luck playing roulette or blackjack at an online casino than bet on a EPL game as it’s so tough to predict the outcome of games. To reduce your financial outlay when betting, check out www.casinobonusesindex.com as they have comprehensive guides to the bonuses and welcome offers available at various online betting companies. If you do end up betting on this game then you can back Arsenal at odds of 4/6 while Fulham are available at 4/1 – which is tempting considering they are the home team. Those who fancy a draw can get odds of around 10/3. Arsenal are understandably the favourites and have a good record at Fulham so I think Emery’s side will secure all three points but it’s going to be a tough match. Thursday’s long-haul trip to Azerbaijan will have taken a lot out of the players so I’m not expecting Arsenal to be on top form. My prediction is a 2-1 away win, which can be backed at odds of 13/2 while over 2.5 goals at odds of 4/9 looks tempting as Arsenal have a leaky back four and will no doubt give Fulham plenty of opportunities to score. However, our firepower should be enough to secure the win and if you want more value then add Alexandre Lacazette as first goalscorer in a 2-1 victory at odds of 18/1.